Knee injuries happen quite frequently and also recover in a short time, if the injury isn’t too serious. Light to moderate exercises are recommended for athletes and sportsmen which help in conditioning the knees and improving flexibility. These exercises are of moderate intensity and do not cause harm. However, it is always recommended to get in touch with your trainer before starting any workout after an injury. Balance training workouts are quite beneficial when recovering after a knee injury. 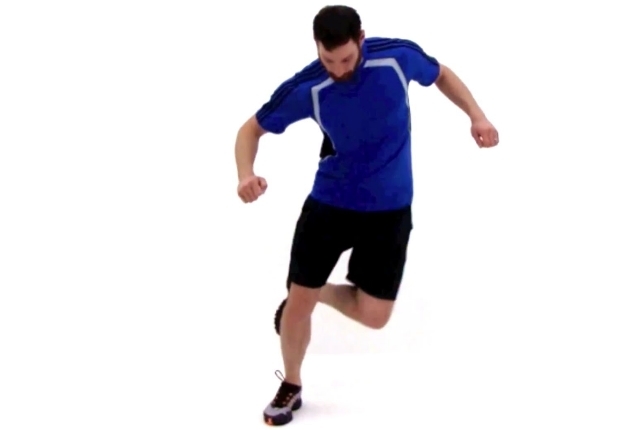 Leg hops are light and easy as they do not cause much of strain. It helps in improving motor control just around the joints and helps in improving balance which is most important for athletes. Start by standing straight and keep your back straight. Now lift one leg from the ground and fold from the knees a lit bit.Your feet shall be a feet higher from the ground. Now start hopping on one leg and move. Hop at least ten steps and take rest for a minute as you keep your foot down. Now, you can lift your other leg and hop again. Do this for five minutes everyday for added strength to your knees and for building flexibility. This exercise helps in stretching the connective tissues and engages all related muscles. Start by sitting on your chair. You need to keep one more chair just opposite to you. You will then contraction the leg muscles and slowly push the knees to the ground. You need to keep your leg straight and let it be stretched for 10 seconds. You can then release. Repeat at least five times for each leg. It will help in building leg flexibility. 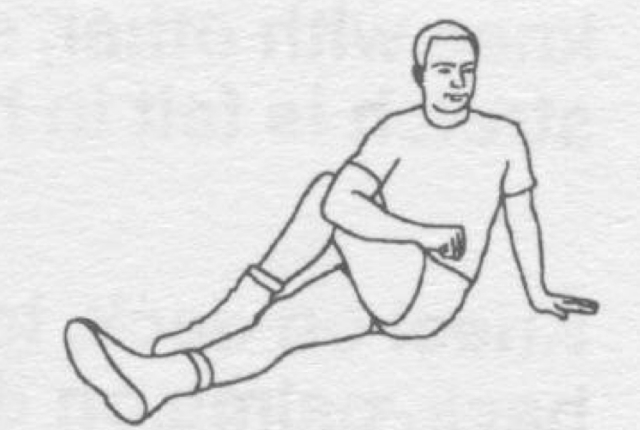 This is an easy stretch which helps in recovering from knee injury and strengthens all associated muscles, which helps in reducing the scope of injury. You need to lie down with your face up. Keep one knee well bent. Your other leg shall be on the floor. You need to raise your leg up as much as a feet. You can then rotate your leg a bit outward. Your toes will be pointing diagonally as the entire leg is rotating outwards. 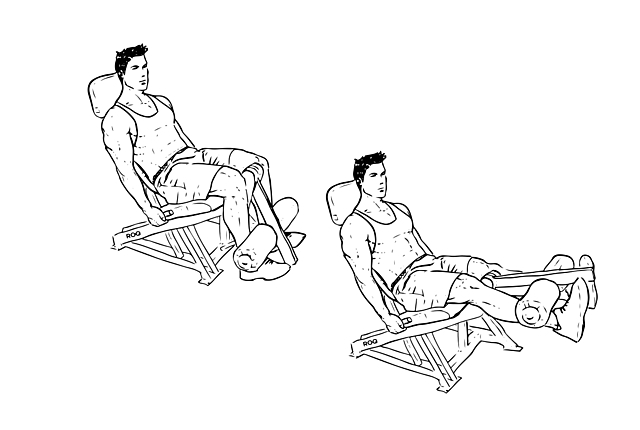 You need to do this in three sets and each set shall be of 10 repetitions. This stretch helps in improving blood circulation in the knees and conditions the knees. There are several muscles in the knees which can cause pain. TFL is one small muscle which can be injured too which caused knee joint imbalance. You will need an exercise band to condition the knees and help in recovery. You need to loop an end of the band just around a sturdy object and then you can fit the other on the top of the leg. You will have to drop into a lunge position as you keep your banded leg at back. This will help in maintaining the tension. You can rotate the leg internally from the hip. Stay in this position for at least 10 seconds. Leg extension help in conditioning the knee area. Those who are recovering from knee energy find this workout comfortable and relaxing. You can start with some light weights and concentrate on moving your knees a full range of motion. Lift your leg for one second count just in front of you. You can hold on to this position for 3 counts. You should not be swinging your legs but keep your focus on the correct form.